Um. Yesterday was 12DP-IUI. Per my nurse’s instructions, I peed on a stick. I wasn’t expecting anything at all. I had period cramps the whole day before, you know… period period cramps. They felt familiar. I had resigned myself to the fact that the period must be coming. The first... bad lighting, but very slight, faint second line. I feel nervous, I feel apprehensive, I still feel doubtful, I feel unsure, I feel scared, and most of all, I feel guilty. Why me? Why on earth me when my sweet friends are still struggling? It’s not fair. It’s not the natural order of things. It only makes sense that those who have been trying for longer get theirs first. It’s not effing fair. I feel a slight twinge of excitement, but really more than anything I feel everything listed above. 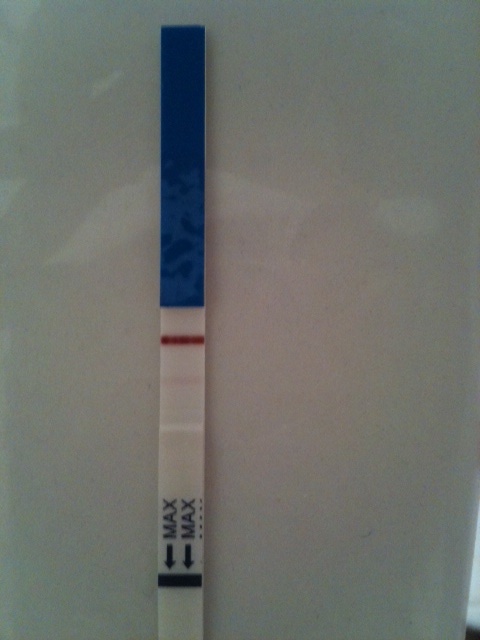 Scared, because I’ve heard too many sad stories about miscarriages to believe that this is going to last. Doubtful, because I need to see the blood work to confirm it. Unsure, because I never imagined this actually happening to me. Guilty, because my heart still aches for my friends who need, and DESERVE, their positives. And all the way back around to scared again because I know so many things can go wrong right now and screw all of this up. I don’t even know what to do. Or what happens next. Or anything. I can say though, that if this indeed turns out to be a viable pregnancy, that I will be moving all things pregnancy related over to my main blog, The Army Doctor’s Wife, out of respect for my friends and others who are still waiting for their positives. This blog was meant to be an outlet to write about my dealings in the infertility world with PCOS in a place where the regular readers on my other blog who were grossed out by such things, or just didn’t want to hear about such things, could avoid them. But this was just that, a PCOS/infertility blog, and while I still have, and will always have, PCOS, it doesn’t seem fair to write about being pregnant in such an environment. I will leave it up here for anyone who stumbles across wanting to read about what others have done and what has worked for others, but once I know for sure this is viable and real (sooo…. like, 6-8 weeks or so. 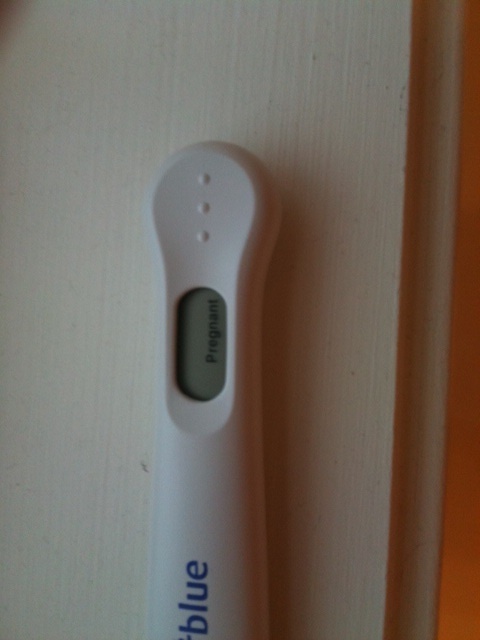 I won’t believe it until there’s a heartbeat), all pregnancy related posts can be found at ADW. I absolutely understand if you just can’t read me, or be interweb friends with me any longer. I know that it can be very difficult reading about these things when you’re in the midst of battling infertility. My heart still aches for you guys, and you’re in my prayers and thoughts regularly. Tomorrow is the beta. We’ll see if any of this is really for real, and then… I don’t know. I just don’t know what I’m supposed to do next. This entry was posted in hope, IUI by L. Bookmark the permalink. Yay! There are definitely two lines on those tests! I’m excited for you! Hoping that your betas look just beautiful. Please, please keep us posted! Very cool! False positives are extremely rare. I’ve had one before when I was on BC, but it apparently occurs often in the female line of my family. I’ll cross my fingers for you! What should you do now? How about celebrate. Seriously, girl, revel in the fact that, at least for today, you are pregnant. You can only live life one day at a time and today YOU ARE PREGNANT. Congrats! Congratulations! I had a feeling when you said you were feeling crampy- that was my main symptom too, crampy several days before my period when I normally only cramp the day my period begins. I’m very excited for you- pregnancy is an adventure, try to enjoy every minute! When you posted you were having what you thought were period cramps, I almost commented about a girl I knew (and went ahead right then and there and stopped because it’s pretty lame to say “I knew this one girl who…” when talking to someone struggling to get pregnant) and I didn’t want to give you false hope or something. BUT now that good things are turning up on sticks, my story is: I waited tables one summer, and another waitress got pregnant. She didn’t find out until she was a couple of months along because she kept having cramps! She said she felt like every day she was about to start her period so she kept putting off taking a test. Well, those cramps were her first sign she was pregnant but she didn’t know it. I doubt it’s like that for everyone, but at least it seems reasonable enough to me that cramps shouldn’t always be discounted as a sign of an imminent period. BEYOND excited for you!!! I had a strong feeling you were when I commented the other day. YAAY!!! BTW I am a fellow Texan. 🙂 Go Rangers! Congratulations girl! That’s amazing news! Fingers crossed for a great beta tomorrow! CONGRATULATIONS!!! 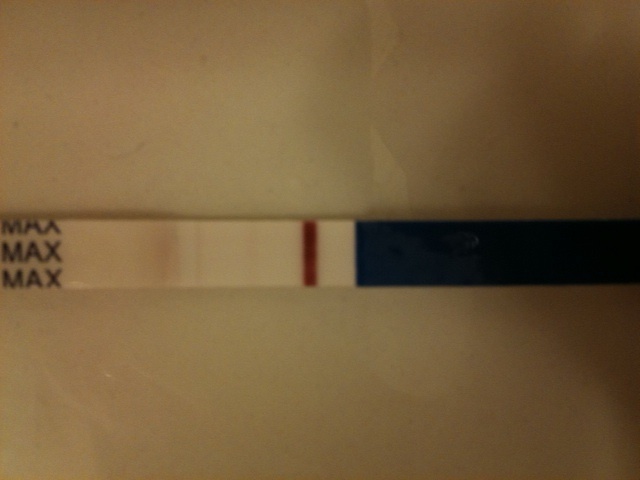 I am still in shock too – got my BFP last wek!! Fingers crossed for your beta tests!! OH MY GOODNESS I AM LOSING MY BUSINESS OVER HERE!!!!!!!!!!!!!!! I can’t believe it! I can’t believe it! I can’t believe it! Seriously, I can’t type fast enough. I am so so so so so so so sooooooooooo excited and happy for you. Congrats mama, and tell the mister I say YAYAYAYAYAYYAYAYAYAYAYAYAYAY! Promise? Can’t wait to hear more. But for now I am crying tears of joy for you. I know how badly you two want this!!! wooohoooo! Don’t you worry about us! Be happy for yourself! If you go back to your other blog you shouldn’t quit this one. I have a feeling we will still understand your worries and fears even if we haven’t gotten there yet. Congratulations!